Creamfields Festival is coming to Andalucia – and what a line up of artists are due to play! This year the festival is being held in Jerez de la Frontera (at Jerez race circuit) between 13-14th August from 8pm to 8am. Creamfields is a dance music DJ festival which takes place all over the world (Argentina, Ireland, Turkey, Mexico, Russia, Brazil, Portugal and Poland) and is organised by Cream club in Liverpool. This is the second year running for Creamfields Andalucia, and from what we have seen and heard so far, promises to be an amazing couple of days. LAURENT GARNIER, ARMIN VAN BUUREN, PAUL KALKBRENNER, RICHIE HAWTIN, THE BLOODY BEETROOTS DEATH CREW 77, 2MANYDJS, ERIC PRYDZ, FELIX DA HOUSECAT, TIGA, HYBRID SOUNDSYSTEM, GARETH EMERY, MARKUS SCHULZ, JAMES HOLDEN, AGORIA, BLAKE JARRELL, JOHN TALABOT, ALEX UNDER, DELOREAN, UNDO, BRIAN CROSS, HENRY SAIZ, GONÇALO, JAVY UNION, HORACIO CRUZ and JUANMI LINARES, winner of the “Andalucía suena 2010” competition. THE PRODIGY (only date in Spain) + PAUL VAN DYK + 2MANYDJS live! + PAUL KALKBRENNER live! + ERIC PRYDZ +FELIX DA HOUSECAT + TIGA + SIMIAN MOBILE DISCO dj set + AZARI & III + MARKUS SCHULZ + ALEX UNDER + MARC MARZENIT live! + UNDO + BRIAN CROSS + GONÇALO + LOLLYPOP + MR. CHAGAR + HORACIO CRUZ + JUANMI LINARES. ARMIN VAN BUUREN + RICHIE HAWTIN + LAURENT GARNIER presents LBS + BLOODY BEETROOTS DEATH CREW 77 + UMEK + GARETH EMERY + HYBRID SOUNDSYSTEM + JAMES HOLDEN + FEED ME + GAISER live! + AGORIA + DELOREAN + HENRY SAIZ live! + PAUL RITCH live! + BLAKE JARRELL + JOHN TALABOT + MIGUEL ARRIETA live! + JAVY UNION. 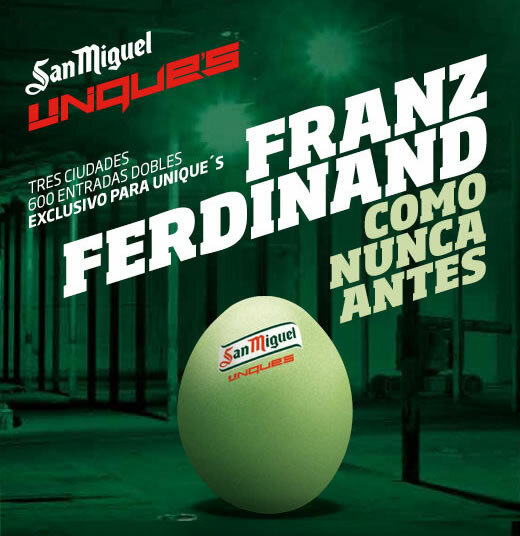 … + the artists from “ANDALUCÍA SUENA”, Creamfields Djs competition. You can purchase a ticket on the website, with their special “print at home” system and avoid lengthy queues and beat the rush from the comfort of your own home.